Meltos 40 mcg is a clenbuterol preparation manufactured by PharmaCom Labs (China). As a sports doping, it is most effective and is widely used as a fat burner and anti-catabolic. It does not have a gender-specific effect; therefore, it is considered potentially effective and relatively harmless for both men and women in sports (with deduction of contraindications). Important: in our online store is a drug of original origin. You can verify the authenticity of the products of the manufacturer PharmaCom Labs using its verification codes (which in the case of new tablets are found on the packaging, on the sticker under the protective layer). 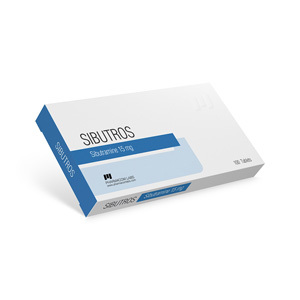 Meltos (active substance – clenbuterol) is not an anabolic steroid, but a simulator, which is classified as a sympathomimetic. The initial purpose of clenbuterol is prescription medical use (as a bronchodilator for chronic obstructive pulmonary disease, bronchoobstructive syndrome and bronchial asthma in children or adults). In bodybuilding, and not only, Meltos is actively used in the courses of drying of athletes, when the main task is the construction of dense and relief muscles, and not its maximum increase. The drug does not have a pronounced anabolic or androgenic activity, like steroids, but is among the strongest of the commercially represented non-hormonal fat burners / anti-catabolic. Meltos has an effect as a selective B2-adrenostimulyator: including stimulating lipolysis, general metabolism, heat production and preventing fat deposition. Here are just some of its mechanisms of action: stimulating the B2-adrenoreceptors in the presynaptic membrane, enhances the secretion of adrenaline and norepinephrine; stimulating B2-adrenoreceptors in the central nervous system, enhances the secretion of thyroxin and triiodothyronine; by blocking Ca2 dependent and ubiquitin-proteasome proteolysis, catabolism stagnates. Meltos 40, as well as analogues of the active substance, is a drug of complex action, therefore it seems to be potentially effective in medicine (as a medicine), and sports (as doping). It is important that Meltos is accompanied by mostly positive customer reviews. Let the drug be relatively new, but its active active ingredient has been well-known to domestic amateurs and sports professionals for a long time. “Maple” has a long history of use as a sports doping, although initially it was produced only as a medicine, a bronchodilator drug. 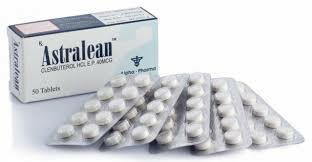 Reviews on the network characterize Meltos (40 mcg / tab, 50 tab) as the product of the prevailing beneficial side effects (if the instructions are followed), but it is recommended to exclude in advance contraindications for use (thyrotoxicosis, cardiomyopathy, pheochromocytoma, angle-glaucoma, tachyarrhythmia, hypersensitivity, etc.) . Otherwise, nothing guarantees the absence of consequences. Restrictions on the use also include: children; pregnancy and lactation in women. Meltos from PharmaCom Labs should be stored at a temperature not higher than 25 degrees Celsius, in a dark and moisture-proof place, which is confirmed by reviews on the Internet. Sudden temperature drops are disastrous for most pharmaceuticals.